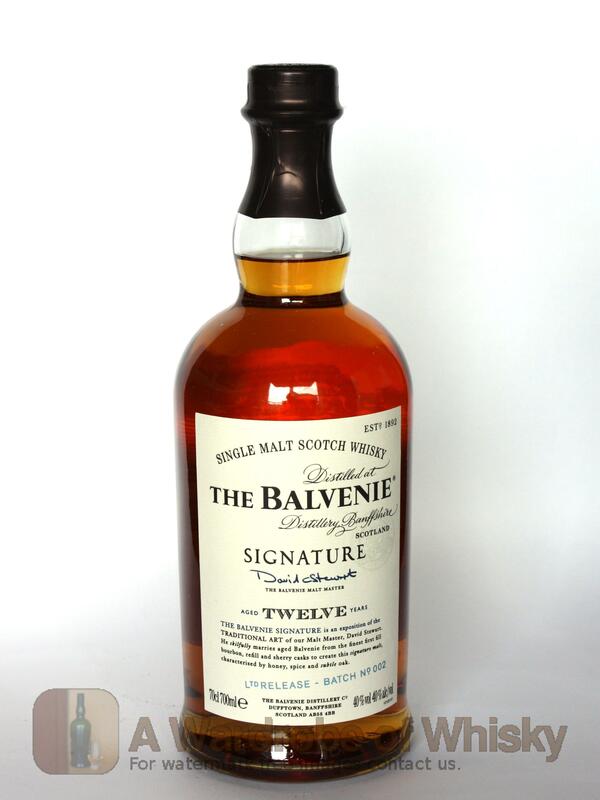 This 12 year old Balvenie was released in 2008 and was launched to replace the 10 year old Founders Reserve. 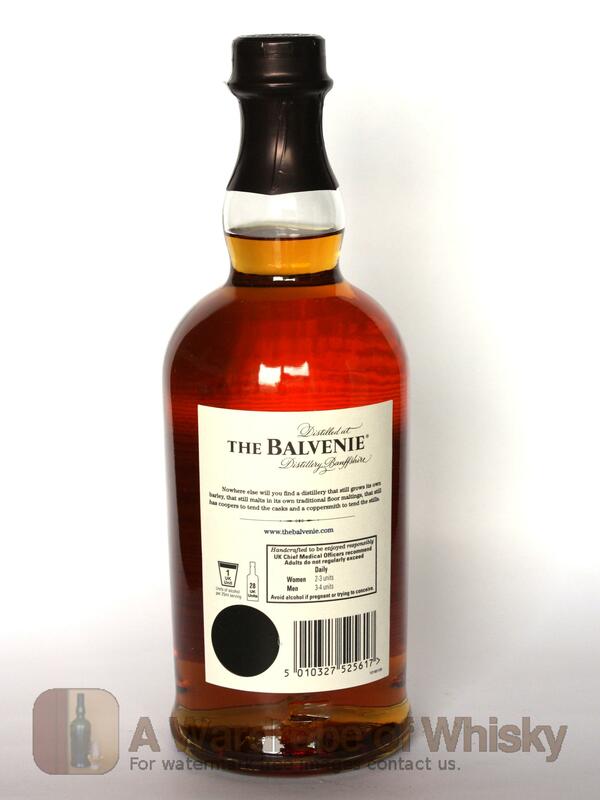 This bottling was aged in first fill bourbon barrels, refill casks and sherry butts. Nose (93): strong. biscuits, honey, vanilla, citrus, floral. Taste (90): smooth. fruity, candies, honey, vanilla, floral, citrus. Bottled at cask strength this would have been a crack. Finish (89): long. floral, citrus, honey. 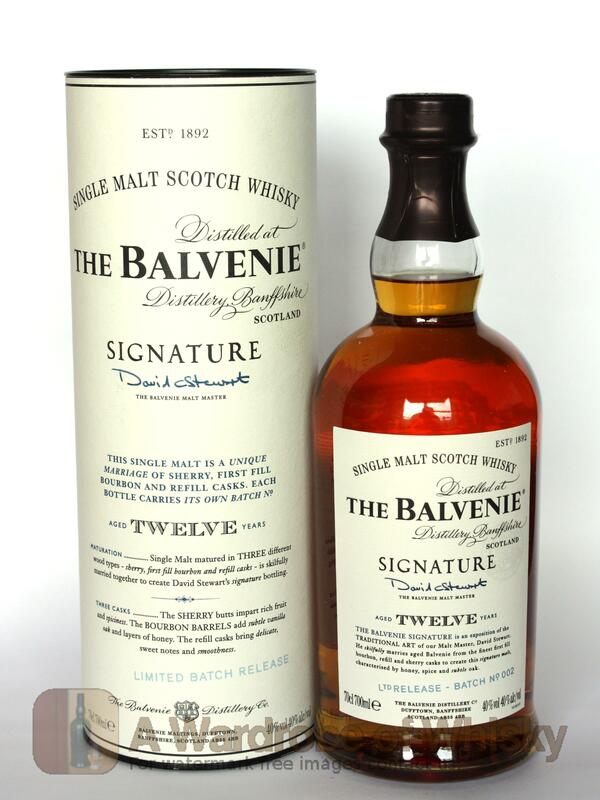 These bottles have been chosen over others because their nose, taste and finish are more similar to Balvenie 12 year Signature than the rest. Go to Whisky-o-matic page to fine tuning other settings.